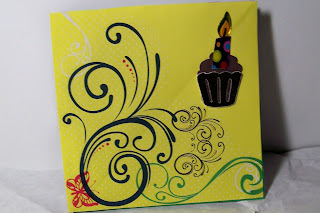 Just A Scrappin' Challenge for Mar.28, 2013 is Make an Easel Card using pastel colors on it. I made a Twisted Easel Card 5 1/2 inch square. Using Art Philosophy cartridge I cut <cupcake> shift at 1 1/2 " in brown and 1" in glitter. 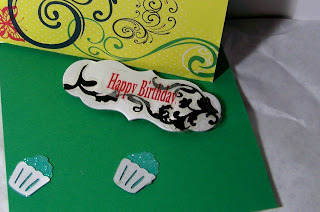 next <cupcake> layer in sliver at 1 1/2 inches and two at 1 inch, then the tag <shape1> at 1 1/2 inch in thick white cardstock. Take top of cover and fold in half point to point. When gluing down the front make sure it's the direction wanted for the easel part of the card. Glue only the bottom 1/2 of card front and cover paper. I use stuff from my stash of course. I used pop-ups on the tag to get it a little high than the inside of the card to hold the easel part up when opened. 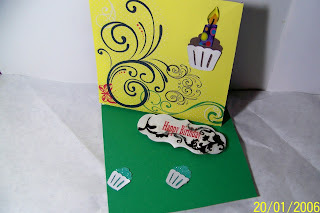 The finished card I mailed to my sister in Iowa for her birthday Thur. Mar.28th. Hope she gets it before this post on-line. Join us at Just A Scrappin' for the new Challenge and have some fun! I just adore flourishes! And the tag works great for holding the card open-good job! The flourishes are really great! I really love the stopper inside your card. Really pretty choices! I really like your twisted easel card design. I will definitely have to check out how to create one. The cupcake is too cute. 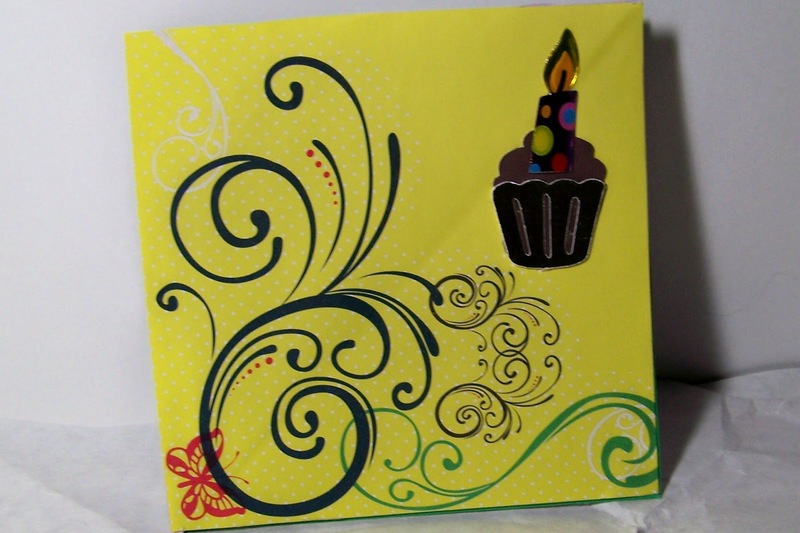 And the flourishes add the right design element to complete your card. 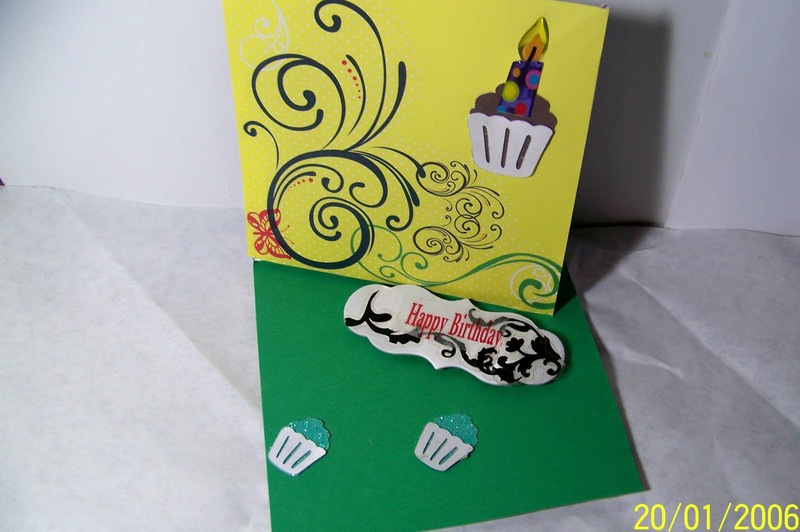 Thank you for sharing your card design.